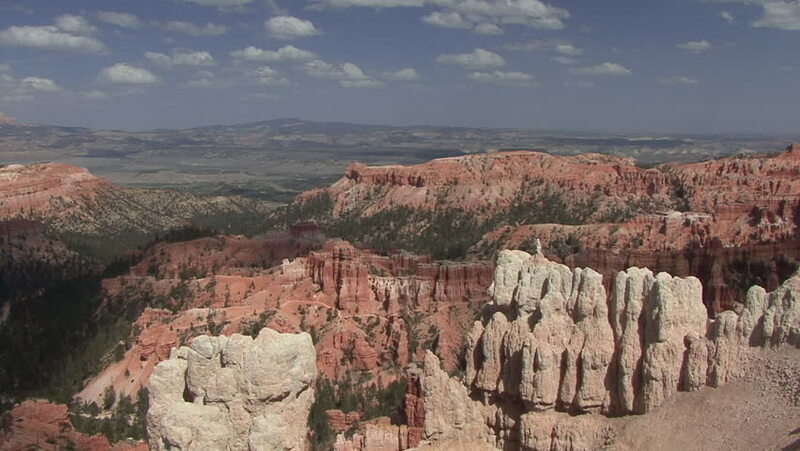 4k00:28Bryce Canyon Utah red valley by pine tree. Geological landmark formation weather and water erosion. Ecological sensitive area and scenic tourist destination.